Being one of the founders of an electric car company can be a bittersweet experience, as top executives at Aptera, Tesla and Fisker have found out. We can now add another name to the list: Terry McAuliffe, founder of GreenTech Automotive, quietly stepped out of the picture late last year. This happened sometime before Dec. 1, 2012, which is the date of a letter from GreenTech’s CEO Charles Wang accepting McAuliffe’s resignation as chairman. Wang’s letter was recently forwarded to The Washington Post by a company official, but reasons for his departure were not revealed in the letter or by the anonymous source. McAuliffe has his eyes on the gubernatorial job in Virginia, which will be decided by voters in November. The former chairman of the Democratic Party finished second in a three-way primary contest for governor in 2009. He invested $20 million in EuAuto Technology, a Hong Kong-based company making a tiny electric car called MyCar. McAuliffe, a businessman and entrepreneur, promoted GreenTech Automotive as an example of his skillset and commitment to Virginia’s economy. 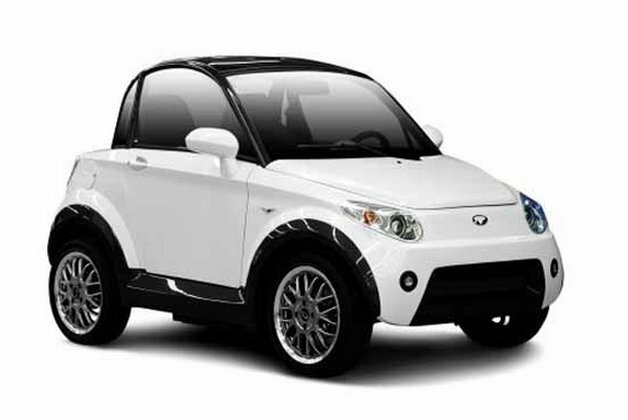 Last year, the company unveiled its two-seat low-speed MyCar that can go about 115 miles on a charge and will sell for about $15,500. It’s being built in Horn Lake, MS, at a plant that could create up to 426 new jobs. Visits by former President Bill Clinton (D) and Mississippi Gov. Haley Barbour (R) drew some kudos, but there have been jabs thrown by an opponent asking if GreenTech will be bringing jobs to Virginia. McAuliffe’s campaign spokesman Josh Schwerin did acknowledge by email that McAuliffe “verbally” announced his intention to resign from GreenTech before filing to run for governor. “Terry was about to start running for Governor and knows that it is a full time job doing so. This is the same reason Virginian Attorney Generals traditionally resign when running for Governor,” Schwerin wrote. Starting up an EV car company just ain’t what it used to be. Terry McAuliffe leaves MyCar EV startup originally appeared on Autoblog Green on Wed, 10 Apr 2013 14:01:00 EST. Please see our terms for use of feeds.